Enlightenment in the East is often misunderstood and misinterpreted. It is completely different from the philosophical movement known as “the Enlightenment” in Europe during the 18th century. Eastern enlightenment is often studied but never experienced. It is usually viewed through our Western and modern linear view of life. Yet the Eastern view of life is built on the natural world’s foundation of a nonlinear view, inclusivity rather than exclusivity, collectivism over individualism, which all contribute to a perception of reality attuned to holism rather than an analytical perspective. Instead of analytically dissecting reality into separate parts to try and understand the whole, the East focused on how the apparent separateness of life is integral and essentially one. Both the holistic and analytical mind were environmentally determined by life’s circumstances thousands of years ago which influenced the way an Easterner and Westerner perceive the world until present day. The analytical mind is attributed to the West. It results from smaller communities during the first two millennia BCE in Greece which were naturally more individualistic because they had to fend for themselves and live off the individual labor of hunting, herding, and fishing for obtaining food. During the same period in the East the environment determined that it was best to live in large communities due to the arduous labor required for rice cultivation. This was especially the case in China and India. For example, the birth of Chinese civilization evolved from the Yellow River Valley area of northern China where rice was the essential food source. Living in large communities in the East people were dependent on each other and the health and well-being of every person. Your own individual self-interest and self-importance was surrendered to what was important for the collective good. 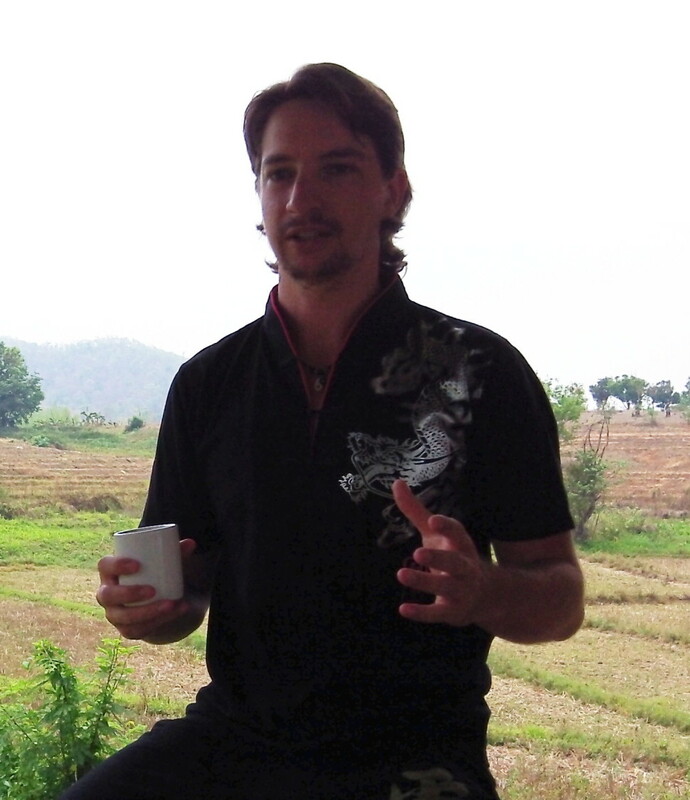 This attitude geared people’s mind towards being holistic. As a result they attained a natural nonlinear view of reality. The analytical mind and linear view is the result of individualism, while the holistic mind and nonlinear view is the result of the collective perspective. This doesn’t mean one view is better or more real than the other. But the problem we encounter today is the holistic mind and nonlinear view of reality is disappearing in favor of a world driven by individual pursuits at the expense of our collective well-being, even in the modern East. The holistic mind and nonlinear view is the way of nature and is expressed through our intuition. The analytical mind and linear view is expressed through our intellect. Both are somewhat necessary but we overcompensate for the latter, which ultimately leads to the decline of nature and our own enlightenment as an individual. A mind primarily driven by the linear analytical view of reality contributes to the slow destruction of nature and also the mind itself. We see this with the alarming abundance of mental health issues and ecological problems today. The natural mind is rooted in the holistic nonlinear view which is the fundamental framework of nature, and human beings are an aspect of nature. This doesn’t mean the analytical mind and linear view cease to exist. But instead they should only be employed in those brief moments that require our attention to detail. Yet if your mind is rooted in its holistic nature then any attention to detail will be done without the sense of a separate person doing it, in the same fashion as Krishna was imploring Arjuna to do in battle against his family and friends within the Hindu epic Bhagavad Gita. The nonlinear world of nature and individual enlightenment are intimately related. But our sense of an identity separate from everything else has to disappear before we can realize enlightenment. Patanjali, the founder of yoga, explains this using the Sanskrit purusha (absolute pure awareness and the identical source of the universe within each of us, similar to the concept of Atman in Vedic scripture) and prakrti (all the form and energy of the manifest universe, including thoughts). He explains that the fundamental purpose of nature (prakrti) is for the human being to bring purusha forth into the world. Purusha, then, according to Patanjali, is the ultimate fulfilment of nature and why we essentially exist. Yet this could only happen if the idea of an isolated separate personality has disappeared because when our mind is pulled here and there by the movement of mental activity and life we lose our sense of purusha within. It is eclipsed by a haze of overstimulated mental activity. As a result we begin to firmly believe in the notion of past and future without an appreciation or recognition of the present moment. This is a disaster according to the Eastern wisdom traditions. In the East eternity and our connection to it is not some far off destination or someplace we go after death. It is right now where time and thinking are completely cut off. The eternal now aspect within our mind is experienced when we constantly ground ourselves in pure awareness (purusha). The more we bring our mind back to pure awareness the more we will experience the eternal aspect of the universe because pure awareness is beyond time, form, and mental activity. Our personality, on the other hand, is built and sustained by the linear view of the world. It is an accumulation of experiences from the past that we believe determines our future. Actually we tend to project our desires into the future based on our past. As a result our personality becomes entangled with suffering which is the result of linear time. When we realize we are the charioteer and begin to reign in the wild horses, to use Plato’s analogy of the mind, we become free from the entanglement of a time-bound personality that is causing all the trouble in the world. The real you, the true Self/Atman (Atman is a Sanskrit word for the Self with a capital S in reference to the pure undifferentiated consciousness deep within us that is eternal and a pure state of awareness that is identical to the Absolute Ultimate Reality of existence known in Sanskrit as Brahman) is the unstained pure awareness beyond time. That is who we truly are but it becomes background noise to the foreground of our isolated personality. Your real nature, the true Self, is what some people of the East realized thousands of years ago. When they individually surrendered their own selfish desires upon the altar of life as it is, they realized they are part of something much greater than their personality. Call it Brahman, Tao, or the Godhead, but we don’t need to give it a name as it is eternally nameless. True liberation burst through their hearts as they finally understood that they are no more special than anyone else or anything else. When their personality disappeared, the splendour of enlightenment dawned on their consciousness. 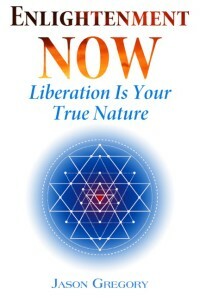 When we break free of our time-bound personality we realize that liberation is our true nature. We are already enlightened but fail to recognize it because our mind is constantly overstimulated and as a result we have accumulated psychic rubbish throughout our life without any attempt to clean it in the same way people treat an Indian train station when passing by. Our mental impressions/subliminal psychological imprints (samskaras in Sanskrit), latent habits and tendencies (vasanas in Sanskrit), and action (karma in Sanskrit) cannot be purified if we don’t make the effort to bring our wandering mind back to the eternal now of purusha. Only then when we attune to That which is beyond name and form can we truly experience the fact that liberation is your true nature. Enlightenment now in this eternal moment is the ultimate liberation and you are That!